I've searched the internet about this Arachnid and I hope I got this right as there are so types of this specific spider. 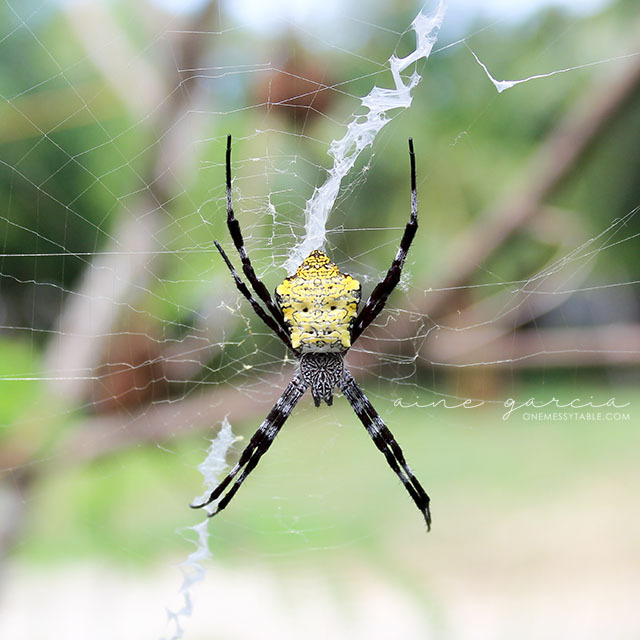 This one is called a Hawaiian Garden Spider or Argiope appensa. I found it under a tree and no, this ain't in Hawaii. Lol! I saw this little creature under the Doña Luz tree and was thrilled to see this work of art. See the tiny little snobbish face on her back? Amazing, right?! If it's not because of this spider's colorful design, I wouldn't dare snap a picture of her - I guess it's understandable why. Lol!